tim schaffer – Video games, comics, & coffee. The game industry is still young, certainly in the likes of film and music. However, the games that have been produced over the past 30 years are beginning to age. What was once groundbreaking, is now a relic of it’s time period. Technology is ever advancing and growing, unlike games, which are forever held down to the technology they were developed on. More often than ever, we’re beginning to see an attempt to remaster, re-release, and remake older and forgotten games. Many people (including myself), were angry and concerned with the lack of emphasis on new and exciting video games. Titles that weren’t even a year old (Grand Theft Auto, The Last of Us), were being debuted on next gen consoles like something new and exciting; it was frustrating, and gave me little to no reason to buy a new console when all there was were games I had already played. But then, a feeling selfishness began to sink within me: I already experienced those games, yes, but what about those who hadn’t? Then I thought: What if Casablanca could only be viewed on it’s original reel of film? 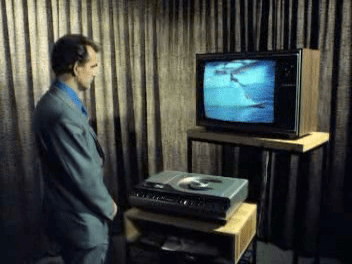 What if every movie that had been released on VHS, was never brought onto DVD or Blu-Ray? Not everyone is a collector or a historian, and not everyone has the means to be able to experience things on technology before their generation. That’s when I realized: remasters and re-releases are alright by me, and anyone else that is upset or angry by it, is simply being selfish. But as always, fans love to be upset about everything. Much like movies, it’s not uncommon for a game to be remade for a newer audience. Also like movies, fans will always go up in arms with self-indulgent empty-ego rage. The matter of the fact, is that those movies/games they loved so dearly, aren’t going anywhere; they’ll always have the original they loved. When Watchmen was turned into a film, not every original copy of the comic was burned off the face of the planet. In fact, it’s still in print, and more than ever! So this “nerd-rage” that fans have, isn’t only pointless, but it’s exhausting. 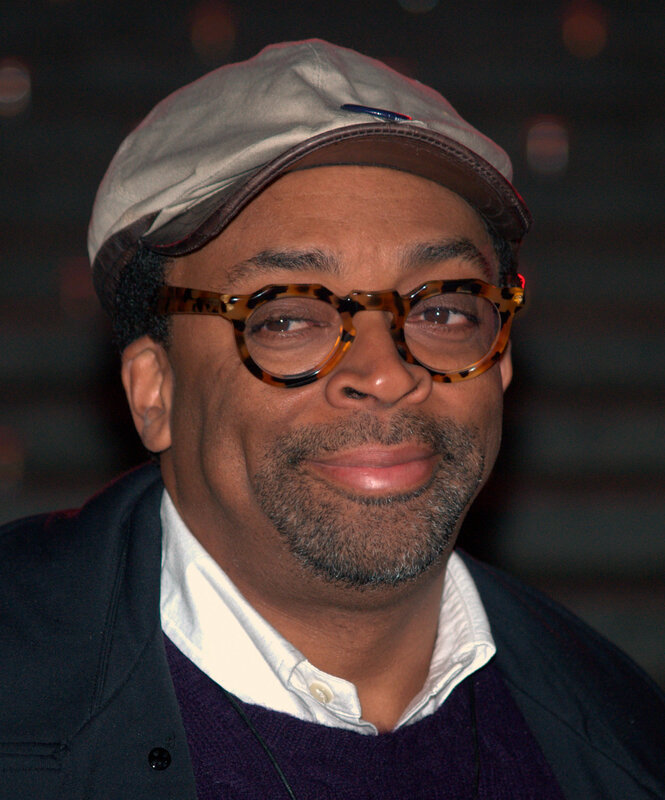 You know what happened when Spike Lee remade Oldboy, a film that I think is simply un-recreatable? I didn’t see it. End of story. However, if the original South Korean film was never re-released in America, I’d most likely never have a means of seeing it. As I’ve mentioned before, Grim Fandango is my favorite video game of all time. When released back in 1998, the game was widely received, but in the end, a commercial failure, and eventually, the game went out of print. It was virtually impossible to legally get the game. If you’re one of the lucky few to own an original copy (like me), it’s most likely that it will not run on any modern operating system. All-in-all, it’s not easy to get Grim Fandango. Nevertheless, the gods have answered my pleading prayers, the planets have aligned, and a new generation is now capable of experiencing Grim Fandango! Writer/Director Tim Schaffer, and his studio Double Fine, have acquired the rights from Disney, and are able to re-release the game. Now, a generation that was born and raised past 1998, will be able to experience this timeless adventure game, when otherwise, they may have gone without ever knowing about it. The industry is young, and so it’s audience. I’m not claiming myself to be some wise old man, but I am something of a scholar when it comes to artistic forms of storytelling. And if I’m not mistaken, it is a very common and normal thing to reproduce old art for newer generations. I don’t quite see why that’s a bad thing. I can admit, it’s disappointing to see games remastered only a year later, but is it really any different than a movie being transferred from VHS to Blu-Ray? Maybe, but I’m not going to pretend like I know the answer. It’s also important to point that systems are no longer supporting backwards capability. Not everyone will have the system prior, or the system prior that, or the old operating system on their PC or Mac to experience older games. Can you imagine only being able to watch Terminator 2: Judgement Day on Laserdisc, and having to get up every half n’ hour to flip the enormous disc over, only to find out that you still have three more discs you’ll have to put in inorder to finish the film? Preposterous. The moment he sits down, he’ll have to flip the disc over. So instead, he stands – draped with misery, knowing that Howard the Duck will never be transferred to blu-ray. Remasters and re-releases are necessary. People need to have a means to experience these forms of expression widely and easily. How could one of the most important forms of human entertainment in the late 20th century go unrepresented for the future? Now get over to GOG.com and pre-oreder a DRM free copy of Grim Fandango. Why Grim Fandango made me who I am. Everyone has that one thing. That thing that shapes who you are without you even really being consciously aware of it. For a lot of people, it’s a particular movie, cartoon show, or album that just fills them with a rushing sense of nostalgia, or a reminder of something that defined a period in their life. For me, it was a video game. That game was Grim Fandango. If you’re aware of what this masterpiece of a game is, then reading the rest of this article may be just a reminder to how sweet you are for having known what it is. Otherwise, indulge with me and my analysis of how this game subconsciously defined who I would eventually become, despite its commercial failure. For the sad souls that have somehow slithered through their lives not knowing about this game, Grim Fandango is an adventure game directed by Tim Schaffer, who is now more commonly known today for his work at ‘Double Fine’ which put out Psychonauts and Brutal Legend. In Grim Fandango, you play as Manny Calavera, a travel agent for the recently deceased. It’s his job to give them a form of transportation through the land of the dead to their final resting place. It isn’t until he meets Mercedes Colomar that he must travel across the land of the dead himself to save her. Released on October 30th, 1998, I distinctly recall my father purchasing Grim Fandango in November of the same year. At the time, my 8 year old self wasn’t sure what it was, or what kind of game it was. I knew what an adventure game was by the standards such as The Legend of Zelda. And at the time, I was obsessing over the uprising first person shooter genre of games such as Duke Nukem 3D or Quake. Was Grim Fandango a first person shooter? I didn’t think it looked like one. In fact, I didn’t think it really looked like a game at all, but more like an animated film about well dressed skeletons. Grim Fandango was brought home and installed on our PC in the basement. My sister, who was 14 at the time, was much more familiar with the genre and style of adventure games (being that titles like ‘D’ and ‘7th Guest’ were her favorite games; I was too scared of them). She began playing Grim Fandango while I sat from a distance only showing mild intrigue. I remember wanting to play, and being interested, but I let my older and intimidating sister have her fun while she laughed at the dialogue and characters. It wasn’t until she couldn’t figure out how to open the main menu of the game and save that she had lost interest for the time being, thus allowing me to sneak into scene and give the Grim Fandango a try. I wandered around the town aimlessly speaking to characters, collecting items that I had no idea held relevance to the progression of the story in any way. I was completely immersed in the ability to choose whatever I’d like to say. I found myself spending the next hour choosing every single possible dialogue entry to hear the entire tree that had been written for that conversation. It felt so open and free to whatever I wanted to do, and though my choices were actually limited to only a couple of lines, it still felt as though I had been given a freedom I had never experienced in a game before. In Duke Nukem, I could choose to compliment the strippers, but I had only one line to say, and I didn’t have a say in even choosing it. But the moment that Grim Fandango really blew my 8 year old mind a way was when I had made the decision to shove the festival bread I collected earlier in the game down Manny’s mail tube in his office. It was at that moment, I think I was changed forever. It almost felt as if I was creating the story; I was creating the events happening, not consciously aware that it may or may not have a consequence in the game. Though shoving the bread down that mail tube truly had no consequence in the end, it’s the principal that I was allowed to execute this very random thought of mine. Even more brilliant, is that action foreshadowed the solution to a puzzle later in the game. Now, to most reading this, you probably think this is all old news, given that adventure games and this mechanic had existed since text adventures. But admittedly I was young, and my feeble pre-adolescent mind could not handle that style of gaming until I approached the later years of my first decade of life. Sadly, and also amazingly, I wasn’t truly able to comprehend and really play games of this depth and design until I was 8, and Grim just so happened to be my first exposure of it. But I had only caught it in its tail end of the genres decline. Leaving me with, what most argue, the greatest adventure game ever made. I grew up into my teen years finding an absolute fascination for old crime and pulp films, as well as literature. I became obsessed with the works of Raymond Chandler like The Big Sleep, and Dashiell Hammett’s Maltese Falcon. I had fallen in love with films of the same titles, and then I had finally come across the movie that was Casablanca – which Grim Fandango is most heavily influenced by. Like Grim Fandango, I became oddly infatuated with Casablanca, and found myself coming back to it again and again, studying and researching it. But as this love and fascination for older films and pulp fiction had developed, never was I consciously aware where that love stemmed from. When I was 8, I did not declare “that because of Grim, I will love and seek out film noir.” In fact, the connection between the two didn’t even become apparent to me until my early twenties. I also had a fascination with what would be considered darker themes in life, such as the afterlife, and death. As a young artist, I always enjoyed drawing skeletons, and all things spooky, once again, never consciously aware that if I were to take all my separate and many interests and combine them, that it would essentially create Grim Fandango! I didn’t even really notice how much of an impact the conceptual artist of Grim, Peter Chan, had made on my art style alone! And of course, and lastly, the impact it made on my undeniable love for all things adventure games. I consider 1998 to be the most important year in gaming in terms of what I think became the standard of modern game design with titles such as Resident Evil 2 and Half Life that weren’t only a commercial success, but critically considered ground breaking. Both of these games are also amongst my favorite games of all time, that both eventually spawned sequels that make my top 3 (being Resident Evil 4 and Half Life 2). Though Resident Evil 2 didn’t change the landscape much from its predecessor, it is the most successful in the series, selling nearly 5 million copies alone on the playstation platform. It brought the horror survival genre to the forefront, making zombies cool again, which despite its undying popularity today with new zombie franchise games being announced left and right, films, and TV shows. Zombies were not that apparent in the late 80’s and 90’s. Mainstream horror was more focused on teen slasher films at the time. I’m willing to go so far to say that the success of Resident Evil paved way for what is now this renaissance of zombie movies, shows, and games. Then there is of course, arguably one of the greatest games ever made, Half Life. Which not only set the standard for the first person shooter genre, but reshaped the way stories could be told in video games. In 2004, Half Life had sold 8 million copies. It was an enormous success. It can’t be denied that every FPS to come out since Half Life, learned something from that game. So… how did Grim Fandango hold up with its fellow 1998 games. Sales are estimated around 100,000 – 500,000 units worldwide. In which by those standards the game is considered a commercial failure. Following Grim Fandango’s failure, LucasArts (its publisher) cancelled the sequels to past adventure game classic such as Sam & Max Hit the Road and Full Throttle. 1998 was a year of broad diversity in new genres coming out, old genres being redefined, and also, classic genres dying out. 1998 was a year that had huge influence on game design for years to come. Being an 8 year old and experiencing these games on the cusp of beginning to define myself early on was a remarkable age to digest all this. In the midst of over a dozen other influential ground breaking titles that could have defined my interests, may it have been Resident Evil with its obvious Romero Zombie film influence, or Half Life that could have made FPS’s and science fiction my favorite genres, it was Grim Fandango that became a timeless never ending influence and inspiration to my personality, career choices, and interests. Obviously Grim differs in the obvious compared to HL and RE2. So what was it? Was it that sense of freedom I felt while choosing what I can say, or do? Was it that I could play at my own pace and not feel rushed to kill the next enemy or more importantly, not die? 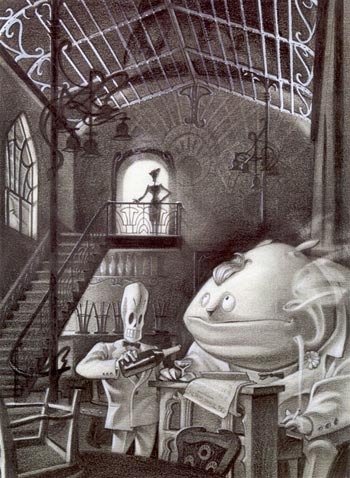 Grim Fandango captured atmosphere and style that could never be replicated. A world so beautifully realized simply from all of Schaffers interests at the time: mexican folklore, and old film noir. Peter Chan managed to hone in on what made the world of Grim what it was. All the while Peter McConnell’s instalntly nostalgic and memorable soundtrack completed the back drop. I really can’t say this in any other way, but I think Grim Fandango is perfect. Most folk like to make a stink about its clunky controls, but hey, thats only a product of its time period. Lets not forget, that Resident Evil also shared that same control scheme. Also, I can’t end this without mentioning my shock and excitement that Grim Fandango is being remastered for the PS4 and PS vita. I’m hopeful for a PC remaster as well. Anyway, I gotta relax. I do like other games… and other things… for that matter, I swear.